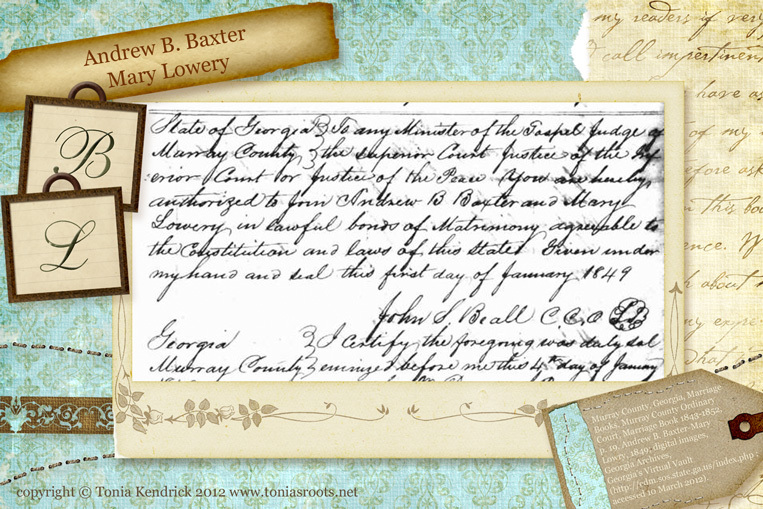 Andrew B. Baxter and Mary Lowery applied for a marriage license in Murray County, Georgia on the first day of January, 1849. Their marriage was solemnized before a justice of the peace on January 4th. Andrew and Mary are my 3rd great-grandparents and the parents of Barbara (Baxter) Kendrick. 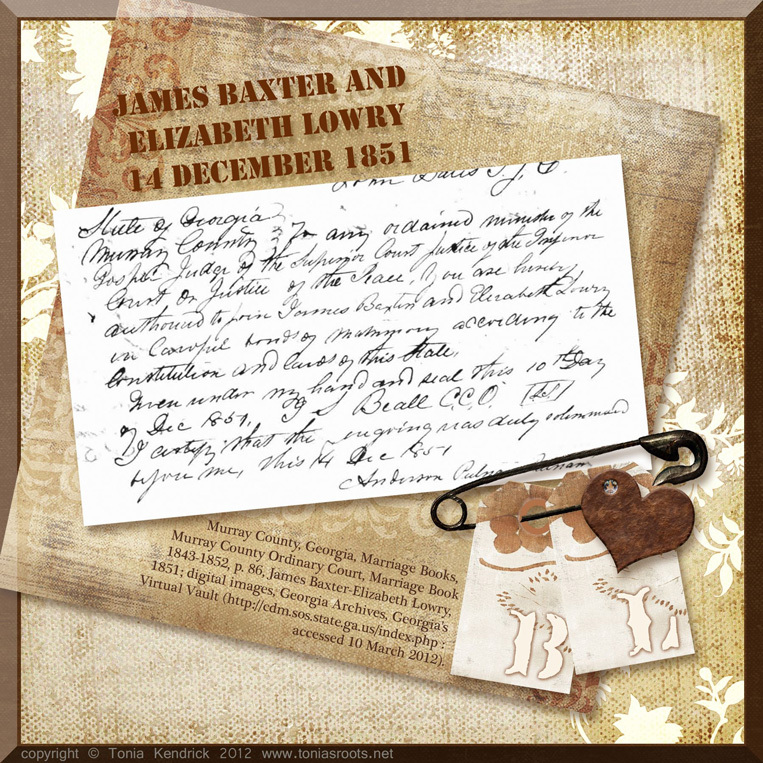 James Baxter and Elisabeth Lowery were joined in the bonds of holy matrimony on 14 December 1851. They were married in Murray County, Georgia. James was the brother of my 3rd great-grandfather, Andrew B. “Dave” Baxter and Elisabeth was the sister of Dave’s wife, Polly Lowery.